With over 30 year’s experience, Pamela Collins is currently the Director of Property Management and Designated Broker for Chamberlain Enterprises. During her career, Pamela has had extensive experience in property management, development, asset management, staff supervision, and fiscal operations of all facets of real estate types. Her experience in property management includes the organization and transition of commercial properties and associated staffing including engineering, design, development and build for various real estate ownership structures. Her skill set includes financial analysis, tenant and prospect liason, budgeting and cost effectiveness, lease administration, negotiation and supervision of various contracts, high level of customer service, analytical thinker and superivision of leasing teams for different real estate types. Pamela is dedicated to her profession as she continues to achieve her goals for her company and her clients while continuing to set new ones for herself, her teams and the clients. 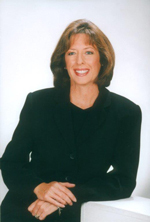 She is currently an Arizona Real Estate Broker, Arizona department of Real Estate Qualified Instructor, received her Certified Property Management designation from the Institute of Real Estate Management in 1988 and her CCIM designation through the Commercial Investment Real Estate Institute in 1994. She served as President of the Phoenix IREM Chapter for 2001 after “climbing the chairs” of the organization over the course of many years and continues to hold membership positions in these organizations. began her career in construction management in 1999 as a Project Manager working for Chamberlain Enterprises’ affiliated general contractor Sun State Builders. Cynthia has over 20 years total experience in the construction industry with duties ranging from accounting, on-site supervision, project management, estimating, space-planning/design assistance, and owner/tenant relations. In 2009 Cynthia joined the property management team at Chamberlain Enterprises as a Property Manager of triple-net buildings. Her construction background serves as a great advantage to the various construction and maintenance needs of the buildings she manages. As a Property Manager, Cynthia is responsible for Financial Statements, Budgets, Capital Expenditures, Tenant Relations, Property Maintenance, Construction Management and Property Inspections. After 16 years on the transactional side of residential and commercial real estate, Donna began her career in Commercial Property Management in 2008. She assisted in the management of a 1 million square foot portfolio of commercial office and retail properties. She is proficient in all aspects of property management including budget preparation, CAM reconciliations, report preparation, lease review and abstracting, work order management, tenant relations, accounts payable and accounts receivable. Just prior to joining Chamberlain Enterprises she assisted in the management of a 20 story high rise with 4 garden buildings and a retail center. She has held an Arizona real estate license since 1994 and holds a degree in Business Administration from ASU. She is currently a Certified Property Manager candidate working towards her CPM designation through the Institute of Real Estate Management. Since 2000, Jessica Sanchez, has been in the construction field holding various positions in the home building industry from Purchasing Coordinator to Design Consultant. 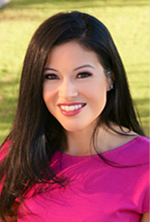 In 2013, Jessica joined the Chamberlain Enterprises team as the Property Administrator. She is responsible for tenant service requests/complaints/resolution, work orders of all types, building access control, contractor and maintenance coordination, conducting vendor service inspections and follow up including security, and is the liaison for contracted janitorial services throughout the managed portfolio. Jessica is fluent in Spanish and with her bilingual skills, is a tremendous asset in her translation abilities for labor and maintenance crews. Property Management is a newer field for Jessica but she enjoys the hands on experience, the interfacing with all types of people and is always willing to take on new challenges for both personal and professional growth.